Life is a journey through season after season. Every season is the unpredictable season (click here) because we don’t know what will happen, whether it is happiness or the hard season (click here). All must be addressed wisely because what we do in this season will affect our situation the following season. That’s what experienced by Asa. Asa was the third king of Judah after Israel was divided into two regions, namely Israel (Northern Kingdom) and Judah (Southern Kingdom). This great-grandson of King Solomon was listed as one of the godly kings in the history of Judah: “…Asa’s heart was fully committed to the Lord all his life.” (2 Chronicles 15:17 NIV), and “Asa did what was right in the eyes of the Lord, as his father David had done.” (1 Kings 15:11 NIV). The story of Asa is written in 1 Kings 15:9-24 dan 2 Chronicles 14:1 – 16:14. There are many lessons that we can learn from Asa’s attitude through the seasons of his life. A position – at any level – is the responsibility entrusted by God to His children to achieve His goal which is to bring people to Christ. The right first step is one of the determinants to achieve it. But that right first step must be followed up consistently in all situations. After a safe period of several years, Judah was attacked by Zerah with an army of a million men and 300 chariots. It was a force that was almost impossible to conquer because at that time Asa had only an army of 300 thousand Judeans with shields and spears and 280 thousand Benjaminites who were shield bearers and archers. In that critical state Asa called on the Lord: “….Help us, Lord our God, for we rely on you, and in your name we have come against this vast army….” (2 Chronicles 14:11 NIV) God answered his prayer by giving glorious victories and abundant spoils of war. The victory of God’s children in the face of the darkness of life isn’t determined by what and how much they have, but depends on how far they want to rely on God, because only God is able to paint a rainbow behind a dark cloud. As long as we rely on God, we will not only win over problems but also get the opportunity to level up more than we are able to reach with our own strength. God saw Asa’s heart and sent a prophet, Azariah the son of Oded, with the message that Asa must be remain firm to cleanse Judah from idolatry and bring Judah back to God, because there was a reward God would give for his effort: “But as for you, be strong and don’t give up, for your work will be rewarded.” (2 Chronicles 15:7 NIV) Asa responded by carrying out a total spiritual reformation as a continuation of what he had done at the beginning of his reign. He removed the repulsive idols and restored the altar which was in front of the temple of the Lord. Then he assembled all Judah and Benjamin and the people from Ephraim, Manasseh and Simeon who had settled among them to strengthen their commitment to God by entering into a covenant to seek the Lord with all their heart and soul. We must respond to each of God’s blessings and help with a commitment to life increasingly pleasing to God. Get rid of all forms of idolatry in our lives. Maybe we don’t worship idols literally, but there could be other things that we love and pursue more than God. For that we must learn to say “no” to ourselves when our hearts want things that deviate from God’s will. One time Baesa, king of Israel, fought Asa by blocking Rama, which was near the border of Israel and Judah. This action might have been triggered by the many people of Ephraim, Manasseh and Simeon who crossed to side with Asa (see 2 Chr. 15: 9). But Asa didn’t rely on God like when he faced Zerah but he asked for help from Benhadad, king of Aram. Aram, also called Syria, was the enemy that David had conquered (see 2 Sam 8: 5). Asa sent tribute in the form of gold and silver from his palace and from the treasury of the house of God, so that Benhadad was willing to cancel his peace agreement with Baesa. Benhadad agreed to Asa’s request and ordered his troops to attack Israeli cities. This tactic succeeded in making Baesa stop blocking Rama (see 1 King 15: 20-21) but there are consequences that Asa must bear because of his attitude that doesn’t rely on God. Through Hanani, a seer, God rebuked Asa: “Because you have relied on the king of Syria, and haven’t relied on the LORD your God, therefore the army of the king of Syria has escaped from your hand…… In this you have done foolishly; therefore from now on you shall have wars.” (2 Chronicles 16:7-9 NKJV) Asa became angry when heard the word and then he imprisoned Hanani! A few years before his death, Asa was afflicted with a disease in his feet. but in his illness he didn’t seek help from the Lord, but only from the physicians. Asa didn’t apostasy and didn’t leave God. In 2 Chr 15:17 it is written that Asa’s heart was fully committed to the Lord all his life, but the Bible also tells us that Asa’s spirituality in the last years of his life wasn’t as good as when he began his position as king. This season teaches us the importance of always relying on God in every situation, no matter whether the problem is heavy or light. Indeed, human tendency is difficult to fully rely on God if they can still do something with their own strength. Humans tend to seek human help whose response can be immediately known and heard, rather than waiting for God’s help that doesn’t know when it comes and often the way isn’t as expected. Then, can God’s child succeed in his own way? Yes, but there are consequences that must be borne. Not because God is evil, but because of our own mistakes. Like Asa, he succeeded in defeating Baesa through the hands of the king of Syria but he had to “pay” it by losing the opportunity to conquer Syria and since then he had to experience war. Every problem is a test and our response will determine the end result. The wrong response and action to a problem not only makes us lose the blessings we should receive, but also opens up opportunities for new problems that are often bigger than the previous problems. Following God cannot be half-hearted. The choices are only “yes” or “no” because we cannot serve two masters. When we aren’t wholeheartedly dependent on God, in fact at the same time we are dependent on others, whether it’s property, other people, or ourselves. “Sometimes the most dangerous place isn’t on the battlefield but in a safe zone. Being lulled into a safe zone makes us no longer vigilant and forgets to guard the heart. Gradually and without realizing it, we will feel that we no longer need God, no longer seek God, and no longer rely on Him. In this modern era, Asa can be described as a person who is diligent in worshiping, active in service and active in various church activities, and enthusiasm in preaching the gospel. A person who has a desire to bring others to Christ, and a leader who is in a strategic position to make changes. Imagine a person who is fiery for God like this and then turns into a person who is hesitate, even having the heart to imprison a servant of God because of heartache hearing the word said by the servant of God (2Ch 16:10). What made Asa change? Since when did the spirit begin to degenerate? If we read the whole story, it seems the answer is in 2 Chr. 15:19 “There was NO MORE WAR until the thirty-fifth year of Asa’s reign.” Indeed, that safe time is God’s blessing because Asa has been faithful and relied on God, but it seems that the safe period slowly makes Asa’s “fire” fade. In everyday life, “no war” means no struggle, no challenges, everything goes smoothly without significant obstacles. If we aren’t aware of guarding the heart, this safe and calm situation can make us complacent and lulled. The sign that we are lulled into a safe zone is no more vision, dreams, and higher goals to be achieved. This is a situation that is actually dangerous because it can make us fall asleep spiritually. We are still in the church and still serving God, but slowly we lose fire and our love for God has ever been in our hearts. We aren’t firm anymore in holding the truth, no longer thirsty with God, not close to God as before, no longer leaning on and relying on God completely. 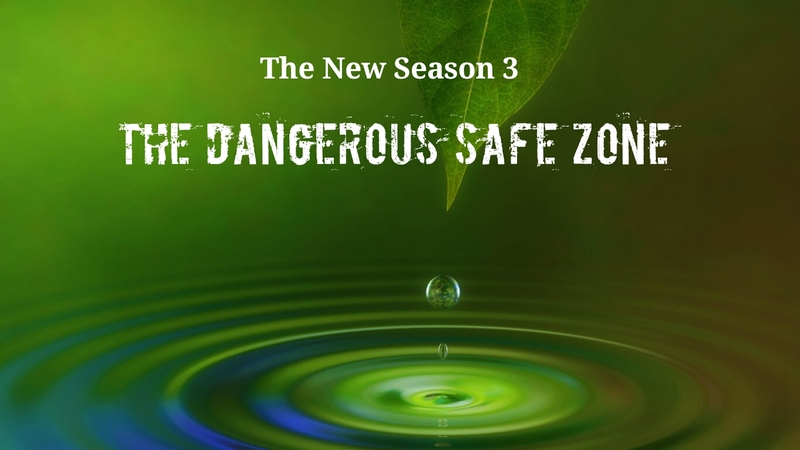 The safe zone isn’t wrong but it is dangerous if we are carried away in it. Therefore, when God takes us in a safe zone, that’s the TIME that God gives us so we can focus on BUILDING OUR SELF. As Asa strengthens Judah by building fortresses so that enemies cannot be easily penetrated (see 2 Chr. 14: 6-7), we must also build what is inside us to become a stronger person and ready to face what will happen to future. There are two possibilities that will occur before us: Problems or Blessings. Problems and blessings both need capacity to overcome. People who are unable to deal with problems can be desperate, angry with the situation, and disappointed with God. But people who aren’t ready to receive blessings can also be arrogant, too confident, not leaning wholeheartedly on God. Not a few Christians who diligently pray when there are problems and then move away from God when their prayers are answered and they are blessed abundantly. Therefore we must prepare ourselves to face problems and to receive blessings. At least. there are three things that must be built and strengthened so that we don’t collapse when hit by problems and aren’t complacent when receiving blessings: SPIRITUAL, MENTAL, and SKILLS. Spirituality and mentality are built by fellowship with God, doing God’s words and through a willingness to change, so that we are rooted, grow, and bear fruit in Him (Luke 6: 46-49). Skill is built by training to sharpen existing potential and also learn new things to increase knowledge and enrich skills. If we consistently build ourselves in Christ, we will be better prepared at any time when problems come or at any time receive greater trust and responsibility from God. In this life season after season will come in turn and there are times when we take the wrong step. At present some of us may be in a complicated situation caused by past sins. Actions that are already wrong are irrevocable, but there is always hope if we repent and are willing to change. Crucial issues are often not on the fault but on the attitude of the heart to God’s reproof. The response to God’s rebuke will certainly affect our future, namely whether we will be restored or even more trapped in new mistakes that increasingly drag us into spiritual degenerate. It is a pity if something that we have started properly finally doesn’t produce as much fruit as it should just because we hardened our hearts and didn’t want to repent. The past cannot be changed, but our conversion today can change the future. At present, whether we first started the first step correctly or not, the most important thing is to let the remaining time wisely and immediately turn away from mistakes. Don’t fall asleep with a safe zone that can endanger us and don’t give up on fulfilling the task that God has entrusted us to the end with excellence. Stay vigilant even though in a safe zone, because a little disturbance in a calm atmosphere will be very shocking if we fall asleep in it. This entry was posted on August 27, 2018, in Christianity, Thought and tagged Asa, beautiful words, Benjaminites, christianity, commited, faith, future, God, heart, Israel, Jesus, Judeans, King Asa, Life, safe zone, seasons of life, the hard season, the new season, the unpredictable season, Zerah.